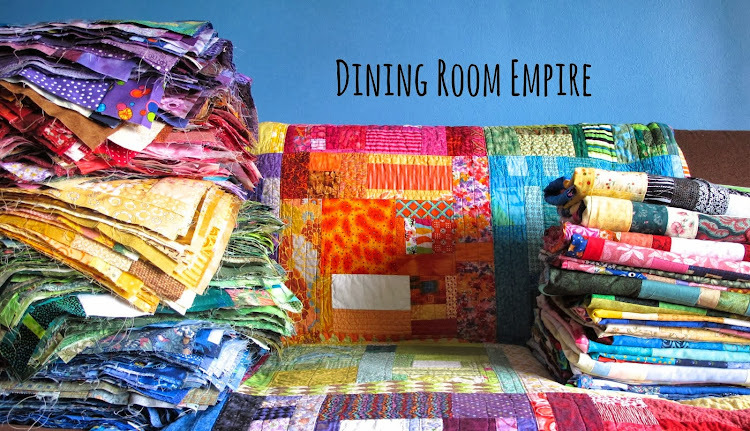 I want to quilt ALL the quilts. So when the chance to learn on the long arm came, I took it. When the rental studio moved 5 minutes away from my home I started to book time. First quilt: followed a pantograph with a laser guide. Fun, but a bit boring. Good for getting used to how the machine moves in your hand. Second quilt: a large, random stipple. Couldn't face another pantograph and decided playing would be more fun. And so much easier (and faster). Third Quilt: moved in for a tight, squared off pattern on a precious quilt. No point wasting time building up to it. Did I mention I want to quilt ALL the quilts now? Renting out time on the long arm is a lot of fun and a sure fire way to make some progress through the last of the Just One Slab quilts and the stack of my own quilt tops. It is not, however, an inexpensive option. If I keep up with this I will spend the money on that instead of my new machine for home! But it is fantastic to have another skill in my kit. There are times when the long arm will be the exact right option for what I'm doing. And sometimes it won't be. For now, however, I think it is perfect. And makes for a nice change from all the walking foot work I've been doing. This makes me so happy! 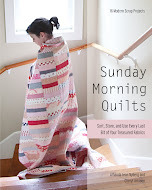 I'm pretty sure if I had a machine to rent that close to my house, I would want to long arm all the quilts too! And love the quilting on this one. If you need a new machine wait and get one of the show classroom machines at Quiltcon. I got one of the Janome classroom machines from Quilt Canada this year and got an awesome machine for less than half the retail price, and they delivered it to my house! Well, maybe your 'new' machine will be a long arm quilting one AND then you can charge for it's rental and then make enough for a new sewing machine!! Or not!! And see what happens if and when you check out the Quilt Canada site mentioned above!!! I can totally relate! 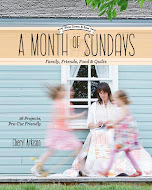 I've been renting time on a long arm as well, and I find myself making quilting motions as I fall asleep at night. It's addictive! How physically taxing is long arm quilting? 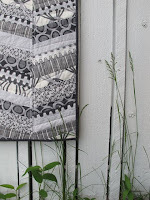 I have some issues with my right shoulder and neck and for that reason have been afraid to practice FMQ on my Janome. I'm very much a beginner at FMQ and stalled in my progress! 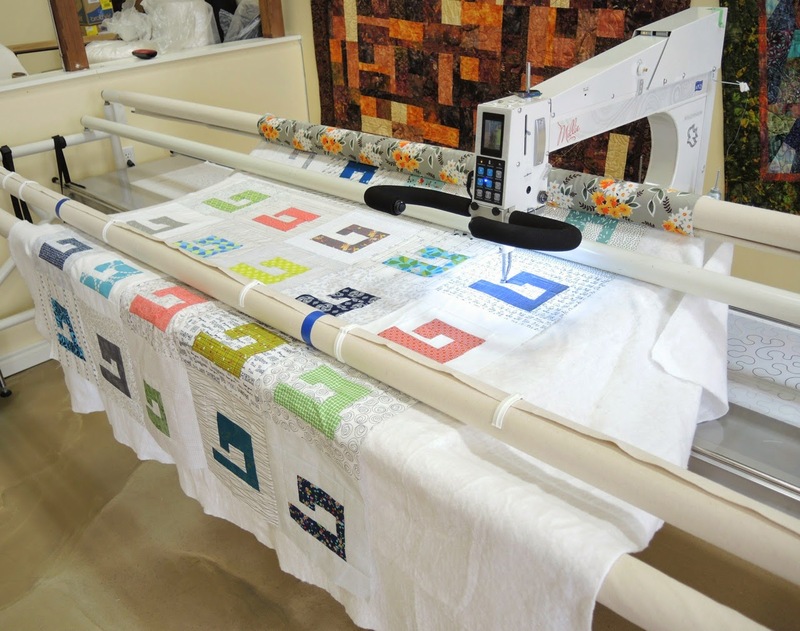 How difficult is it to properly load a quilt onto a longarm? Not a bad idea, Christina. I wanted to buy one from Nova, but not a class machine. I'm looking at the straight stitch model. But cash is the issue so I need to wait. I wish I could get a long arm Brenda, but there is no room at the inn for one. And definitely no budget! Liz, it is actually easier on the long arm than to FMQ at home. As long as you can stand for extended periods of time. The machines move so smoothly that you can do it with one finger if necessary. Loading will depend on the machine. Our rental studio has a snap system which makes it really easy. And there is always a studio person on site to help/make sure you do it right. Cheryl...you've come over to the dark side :0 Renting is a good option when you don't have room at home. You are using the exact same machine as I have, isn't it wonderful.I also got to have a private lesson from Matt when I was buying. For your machine at home, have you tried leaving the feed dogs up and using s super slider. I never drop them on my horizon anymore, the tension is nicer leaving them be. Also, consider asking the companies if they would sponsor you with a machine? There's a local shop that offers classes followed by rental time on their longarm, but I have yet to take the plunge... You're inspiring me. So I started off buying a Janome Horizon 7700 and a Janome 3160 for travel and classes. Well... I then got the Sweet Sixteen with the regulator and now I can't go back. I also got a Pfaff Passport because I really missed the IDT and the Accufeed on the Janome just wasn't the same. So really I think I could now sell both Janomes, as I really haven't used them in several months. If you need a sit-down a reasonable price they come up used quite often and being an industrial machine service up and work well. I do also have a Brother PQ 1500s and I wouldn't part with that one as I can plow through many layers when I'm making bags. I find the Janome hesitant over heavy seams. 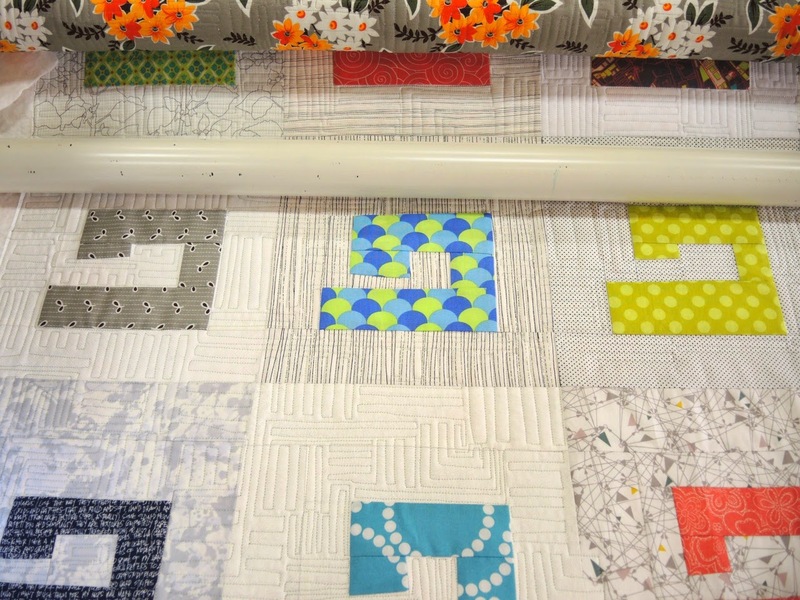 I'm afraid that once I long arm quilt there will be no going back to my home machine for FMQ. Love the way you progressed full speed ahead in three big steps.